A burglar has targeted a home in Derbyshire by stealing keys and a car from the driveway. The thief sneaked in through an unlocked back door of a house on Derby Road, Long Eaton, whilst the homeowners were inside between 8.10pm and 8.35pm on Sunday, February 7. 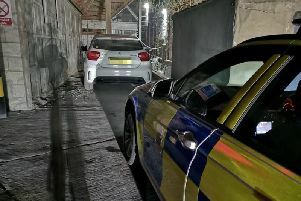 A police spokesman said three handbags and two bicycles were stolen - as well as the white BMW 1 Series. Anyone with information should call DC Lesley Smith on 101, or Crimestoppers anonymously on 0800 555 111.